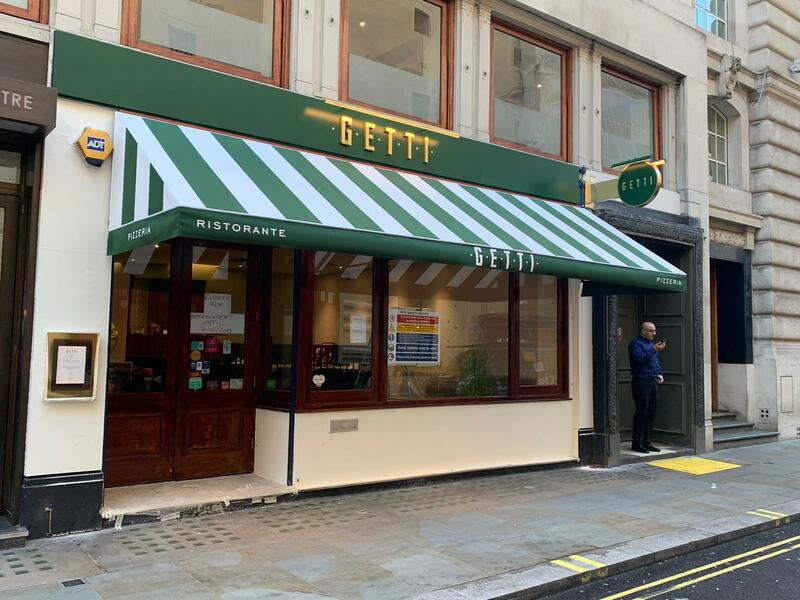 After a recent refurbishment, Getti Restaurant in Jermyn Street, St. James’s, London needed their awning replaced to reflect the new look colours. Radiant Blinds & Awnings have been making fixed frames for over 40 years in their London factory. Made out of reinforced aluminium extrusion, the framework we use is made to our specification for extra strength and can be powder coated to any RAL colour by our finishing department. The designer had a specific look that was in keeping with the new interior. None of the standard stripes in our fabric collections were suitable, so our team made a bespoke stripe out of two plain colours. Our sign writing is done in house and we can reproduce any design or sign writing that is required. 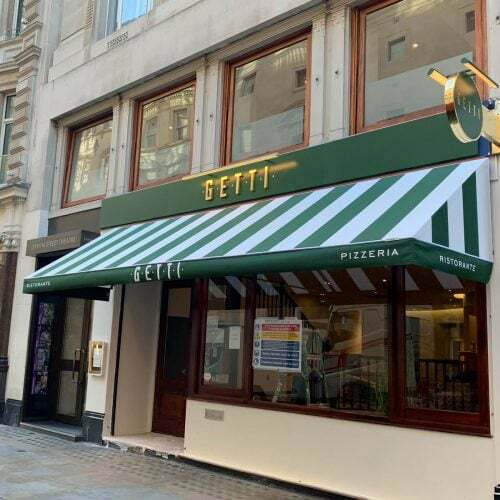 Get in touch today if your awning is looking tired or needs transforming. 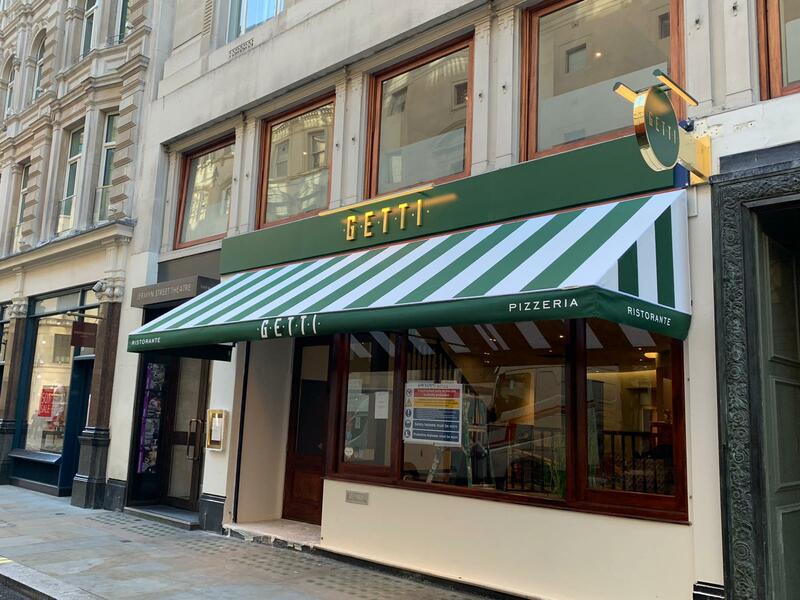 Getti Restaurant is run by the Fraquelli family. They offer simple recipes in beautiful surroundings. They offer a refined combination of classic Italian dishes with a modern twist. Their expert sommelier has selected a fantastic range of wines to compliment the fresh dishes. 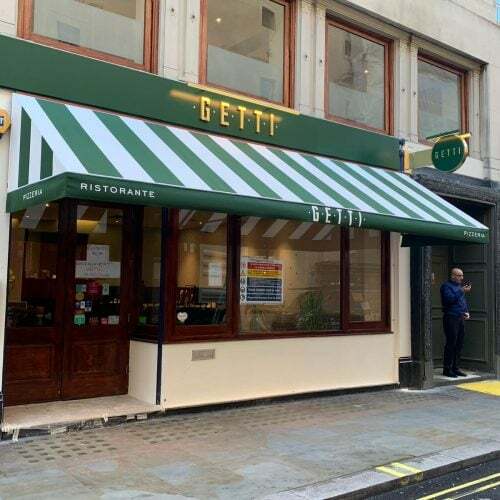 Getti Restaurant is located at, 16-17 Jermyn St, St. James’s, SW1Y 6LT, London, UK. More details on their website at https://www.getti.com/.